Flavia Iulia Helena Augusta was an Empress of the Roman Empire, and mother of Emperor Constantine the Great. Born in Drepana, Bithynia in Asia Minor, she became the consort of the future Roman Emperor Constantius Chlorus and the mother of the future Emperor Constantine the Great. She ranks as an important figure in the history of Christianity and of the world due to her major influence on her son. 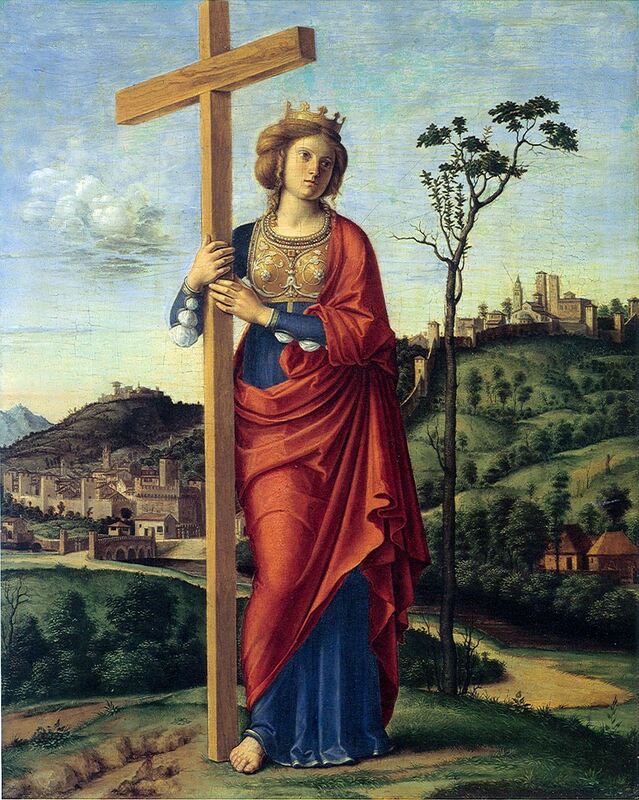 In her final years, she made a religious tour of Syria Palaestina and Jerusalem, during which she allegedly discovered the True Cross. Helena died around 330, with her son at her side. Reverse: Pax standing left, holding branch and scepter; PA_X PV_BLICA / ?TRP?